My parents always said they wanted me to be a Doctor. It took a while, but I think they finally got their wish. 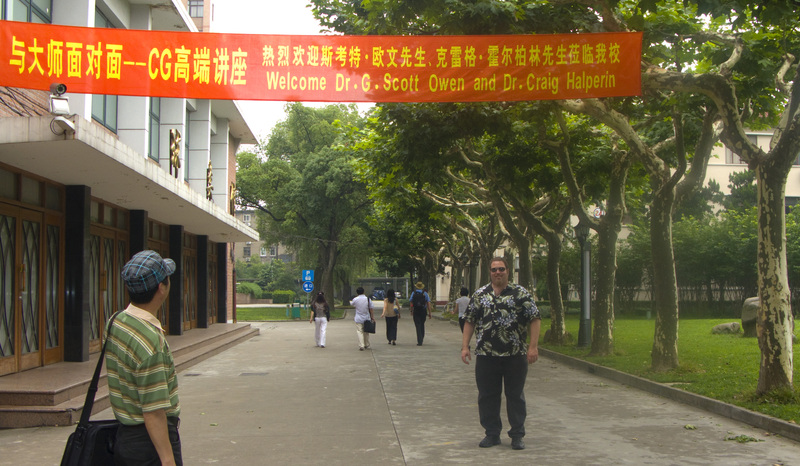 Mr. Wang Wei is in the forground while G. Scott Owen, Dani Weinstein and some of our hosts at Shanghai Normal University receed into the background.